So what’s the story? Does Steve Perry still “got it”? He does. We just might not agree on what exactly “it” is. Traces is Perry’s first solo album since 1994’s For the Love of Strange Medicine. He’s been keeping a low profile since leaving Journey after 1996’s Trial By Fire. If you were worried that Steve Perry has gone “soft” and his voice has changed in that time…then you were right! But that’s not a bad thing. Steve Perry’s voice is one of a kind. The soul cannot be copied; it’s just raspier now. If you want the youthful range, go listen to Journey instead. Or buy Arnel Pineda’s forthcoming solo album. 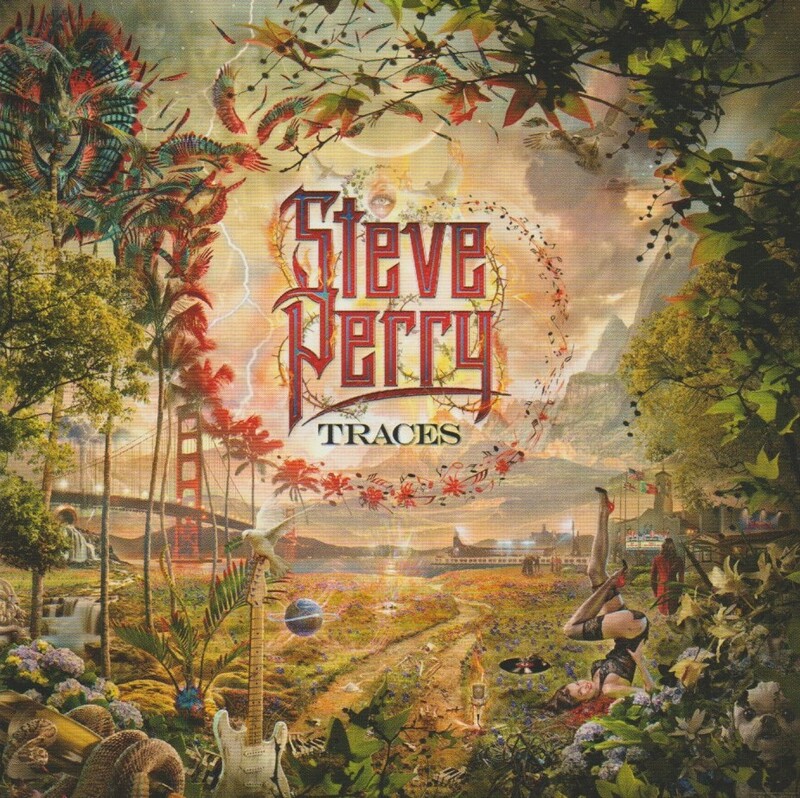 If you want an older, wiser but still the same Steve Perry, he is here on Traces. He’s collected 10 slower songs, some more upbeat than others like the lead single “No Erasin'”. Each one still retains Perry’s ability to compose memorable material. These songs are honed, short, and to the point. Even the ballads are pretty basic: quiet and contemplative, but with soft hooks. All fat has been trimmed. 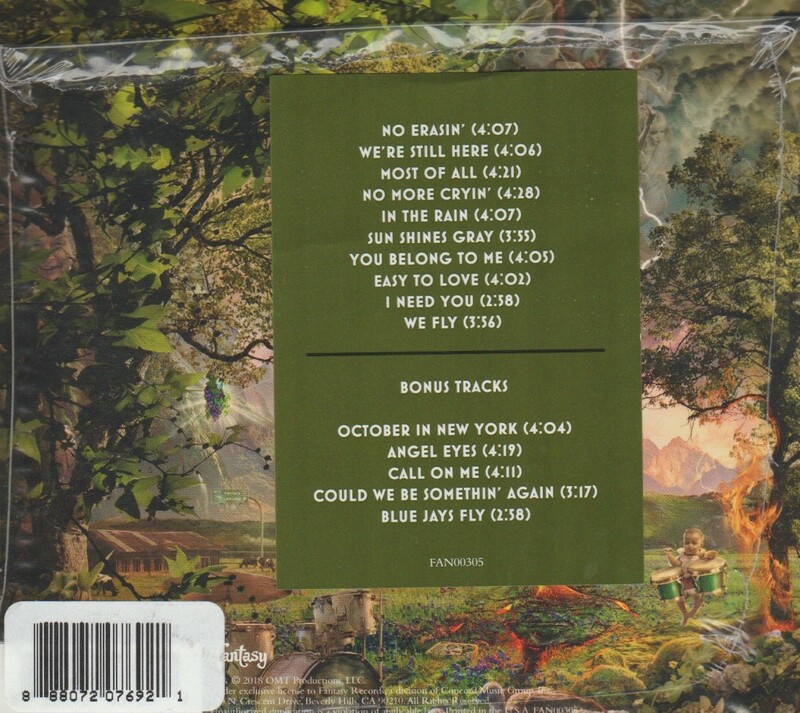 “We’re Still Here”, “No More Cryin'” and “We Fly” are among the best tracks, but “No Erasin'” is the clear highlight. The deluxe edition, a Sunrise exclusive in Canada and Target for the US, has five more songs of varying styles. “October in New York” sounds like a quiet piece from a stage musical. “Angel Eyes” goes more for soul, while “Call on Me” has the tropical flavours you might remember from Journey’s “Baby I’m Leaving You”. The fabulous “Could We Be Something Again” has a choir on it. The good thing about the bonus tracks is you can tell the reason they were cut was not quality. It was simply that they don’t fit in with the direction of the main album. Traces is not for Journey fans who wanna rawk. This is for fans of classy pop rock, soft rock, and the ballads on Trial By Fire. If that’s you, get Traces (the deluxe of course) and take some time to dig a little deeper. That is a fair assessment. His voice isn’t the same, but man it is still Steve Perry and anything new from him is welcome. You can’t expect his voice to be the same as he hasn’t sung on a regular basis for years. I haven’t gotten into this one yet, but it does have some great stuff. This is one I will have to be in the mood for when I listen. John I’ve played the album 4 times now. It’s not the catchiest thing he’s ever done, but it’s damn solid songwriting. The songs are good songs and you are right…it just isn’t catchy. I think that is my problem with it. Still glad he’s back. Have to agree with you and 2loud, his voice is raspy but you can still tell it’s Steve singing nonetheless. I’m intrigued now that I’ve heard your sample song. This is a quality album. You can tell he spent a lot of time writing these songs. who saw this coming, right? I sure didn’t. There were rumours for years. Easy to forget and ignore. PS — Would you be interested in being the subject of a future reader spotlight? How many reader spotlights we got on this ship anyhow? I knew it, I’m surrounded by spotlights. Yes, many singers’ voices change with time. Some are different but still good (e.g. Robert Plant), some become worse (e.g. Ian Anderson, who around 1975 was one of the best singers in the world—and, yeah, also by far the most important flute player in rock, a unique acoustic-guitar player, competent on several other instruments (his bass on Stormwatch is some of the best rock bass ever, even though he was just filling in for the ill John Glascock), and wrote essentially all of the words and music for one of the world’s best bands), some sound exactly like they did 40 years ago, e.g. Klaus Meine. Do you think he might possibly work with Journey again, and this album is testing the waters to see if he’s welcome back first? Not gonna happen. It’s a nice thought, but Mr. Perry has moved on. Yeah that time is long passed. They had a good run though.